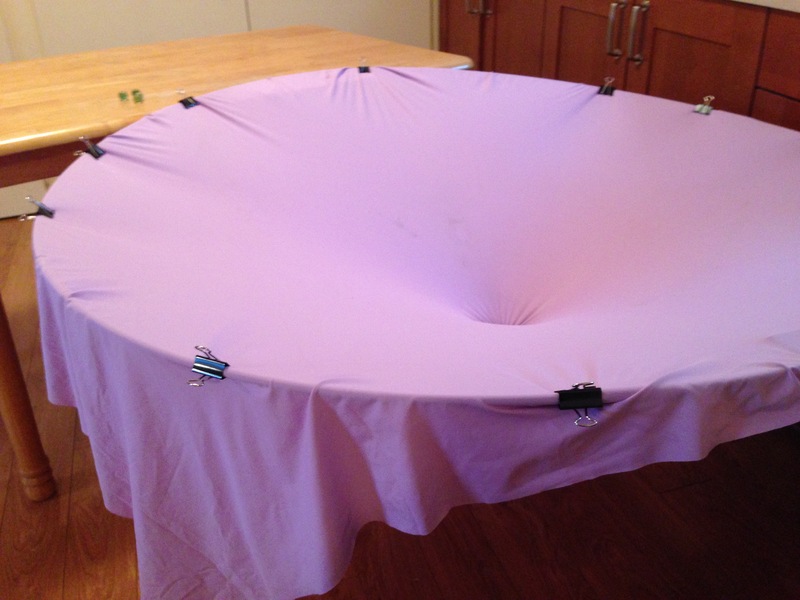 Use a fabric sheet to model the affect of a central gravity well on orbiting objects. Use for modelling the orbits of planets/meteorites/comets, or stars orbiting a black hole. Tell students they will be using the gravity well to model the shapes and speeds of orbiting objects. They release their marble so that it orbits the centre well of the fabric. The centre well models the gravity of the sun/a star/a black hole (depending on the emphasis of the lesson). Their marble may model a planet, dwarf planet, asteroid, comet orbiting a star. Or their marble can model a star orbiting a black hole. 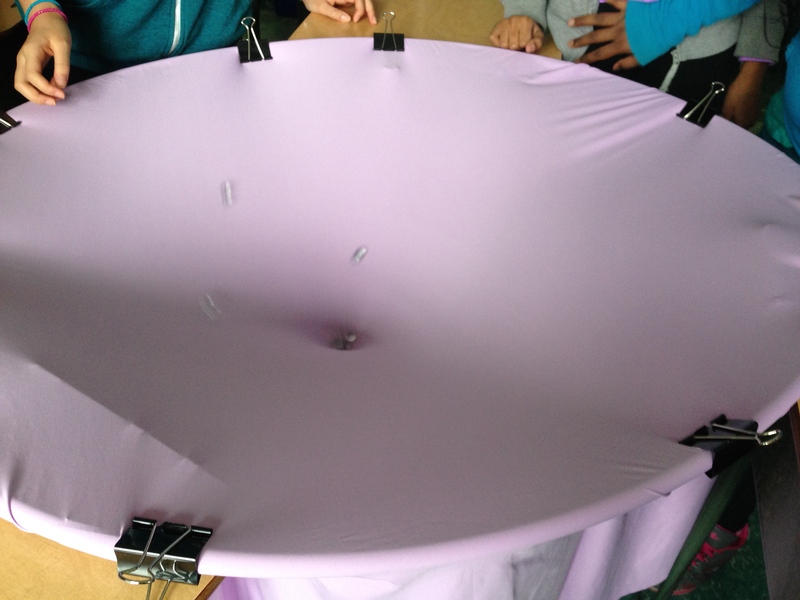 As students experiment, prompt them to notice the shapes of the orbits they make, and maybe also the speed of the marble at different distances from the well. Ask students what shaped orbits they made, and compare their descriptions to orbit shapes of astronomical objects. 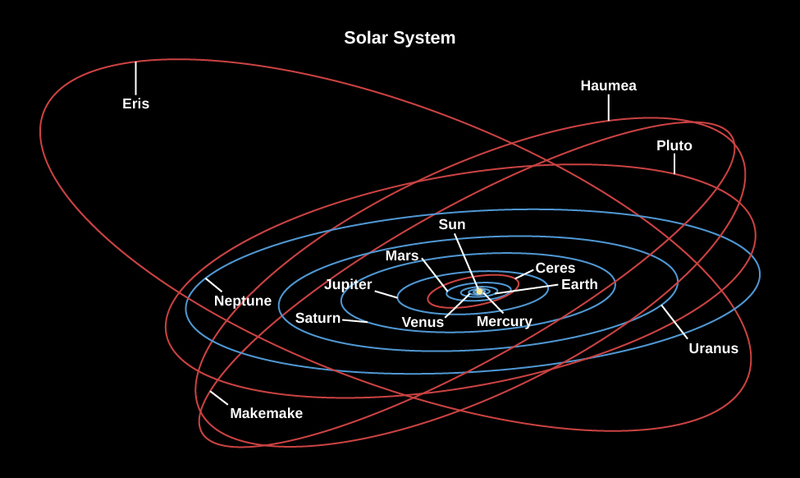 Our familiar planets have a circular orbit, whereas comets and several trans-Neptunian dwarf planets have elliptical orbits. Show images of various orbits (of planets, moons, dwarf planets, asteroids, Kuiper belt objects and comets), during experimentation or after. Discussion on why objects orbit: they are continually "falling" towards the sun, or central gravity well, but as they are in forward motion, they never reach it, but instead curve around it. Kindergarteners and young primaries can draw the shapes they made with their marble: circle, elipse, long narrow elipse, star shape as the ellipses cycle round. Orbits in the galaxy are all these shapes. Several marbles orbiting at once can represent the asteroid belt, with collisions that knock some of them out of orbit. Stars orbit black holes, so astronomers look for stars that appear to be orbiting around "nothing", as evidence for the presence of a black hole. By mapping the locations of all objects in orbit, the location and size of the black hole can be calculated. To modify the gravity well model to be more like the shape of the gravity well of a black hole, add a ring underneath to model the event horizon (the point past which nothing can escape from a black hole's gravity). See the last two photos. Ask students to notice what happens to the speed of an orbit as the object approaches the gravity well of the sun, as astronomical objects behave the same. They speed up near the object they are orbiting, gaining kinetic energy. As they move outwards they lose speed, but gain another kind of energy - gravitational potential energy. 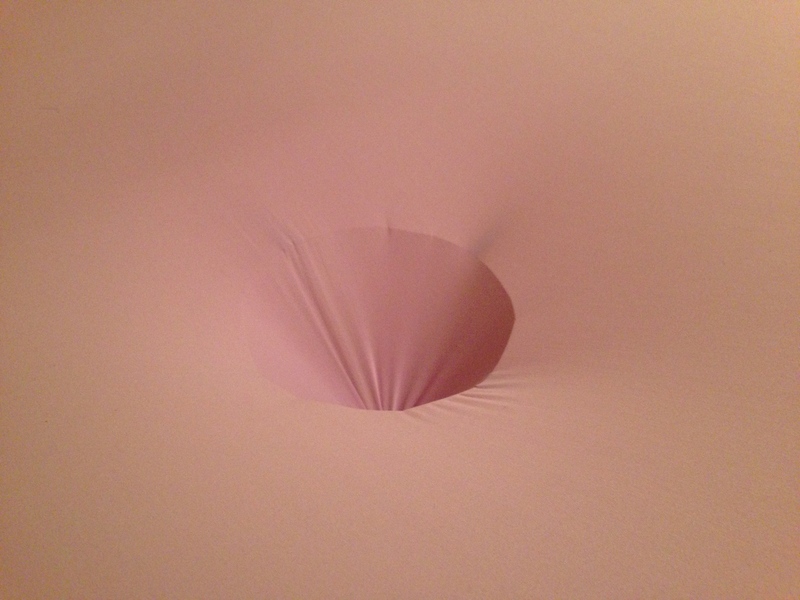 (Similar to a ball been thrown in the air or a roller coaster ride.) 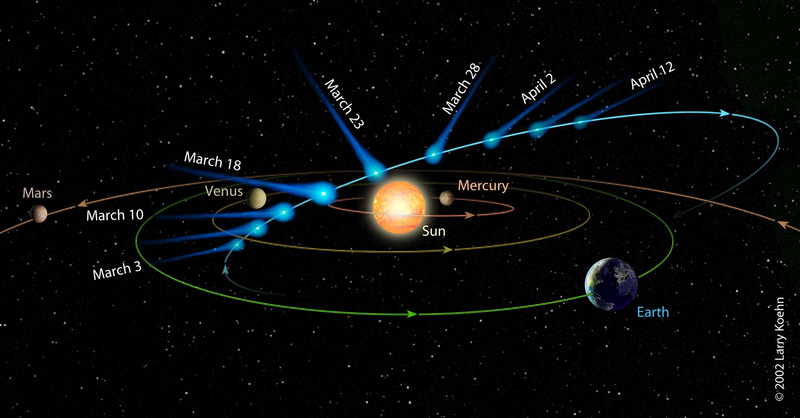 Planets with large orbits spend most of their time far from the sun, where they are moving more slowly. A black hole has an event horizon, past which the object cannot escape its gravity, however much energy it has. Planets - now 8 planets, as Neptune is now classified as a dwarf planet. To be a planet, an object needs to 1. be massive enough to pull itself into a sphere under its own gravity 2. is not massive enough to cause thermonuclear fusion (like a star) and 3. has cleared its neighbouring region of smaller objects i.e. they are attracted by its gravity. Dwarf planets - large enough to be spherical, but too small to clear their neighbourhood of smaller objects. 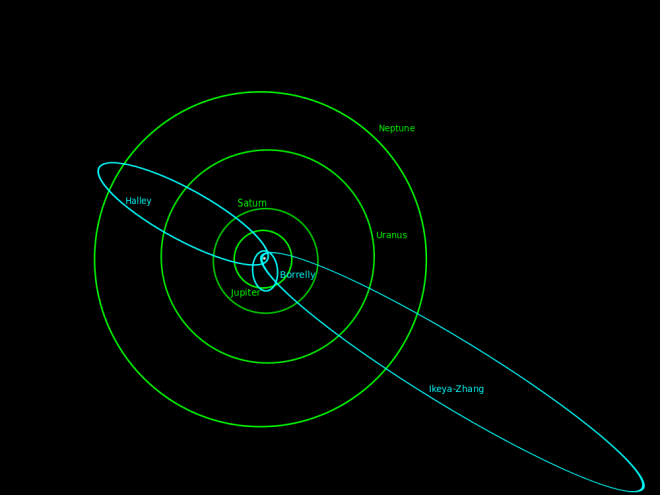 There are many many dwarf planets orbiting the sun, and more are continuously being discovered. 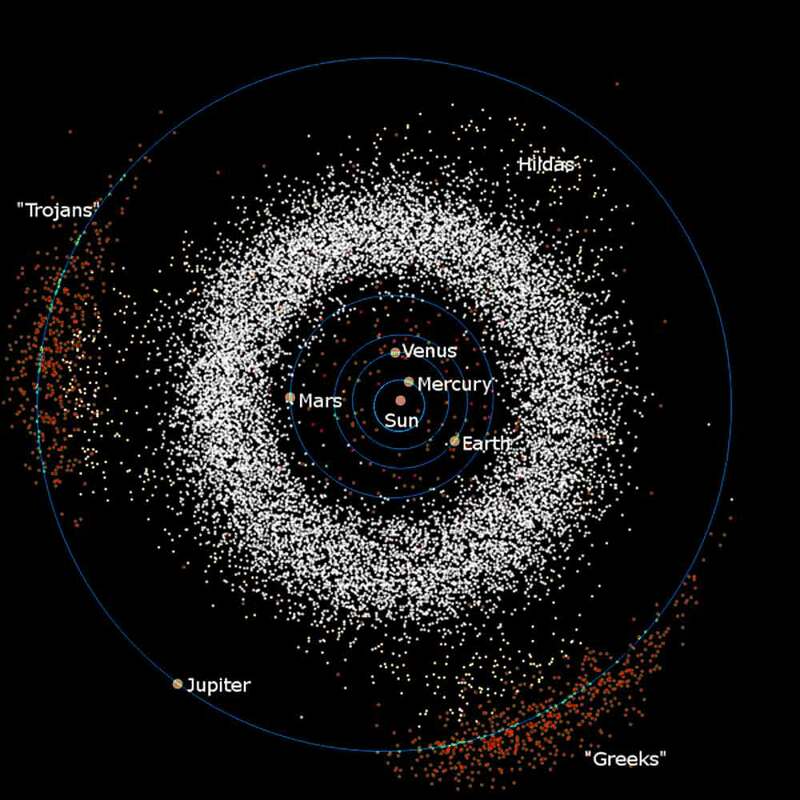 Examples: Ceres in the asteroid belt, Trans Neptunian objects (TNOs) such as Pluto, Eris, Makemake, Haumea. Ask older students for ideas in how their model is different from real orbiting objects at the end of this activity. In this model, every marble inevitably loses energy to friction as it rubs against the cloth and falls into the gravity well. In the vacuum of space there is no friction, and orbit shapes are maintained, as long as there are no collisions. Physicists use this kinds of model of gravity, though they would use mathematics to describe the shape of a gravity well, rather than a physical object. The more massive the body, the deeper and more extensive the gravity well associated with it. Black hole has a very deep well. 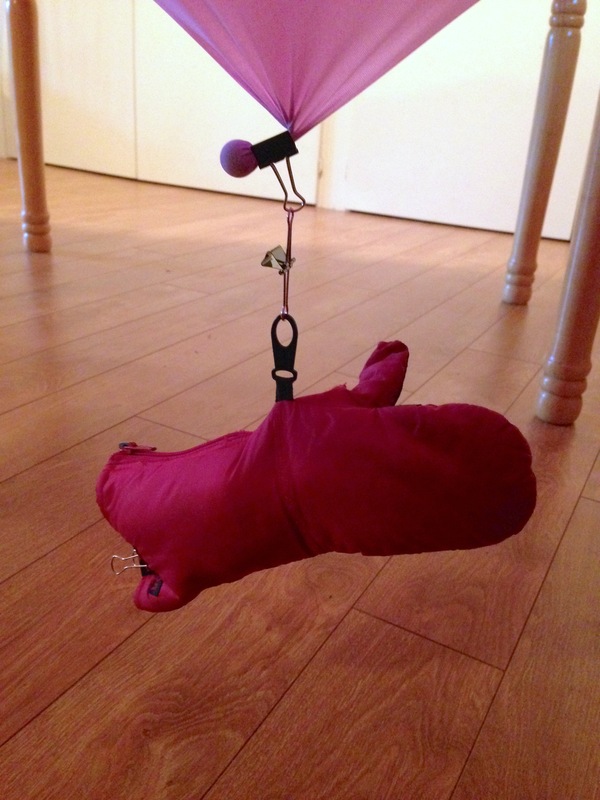 I use 10 rolls pennies in a glove/camping sac as a weight, with a small carabena to link to the small binder clip. 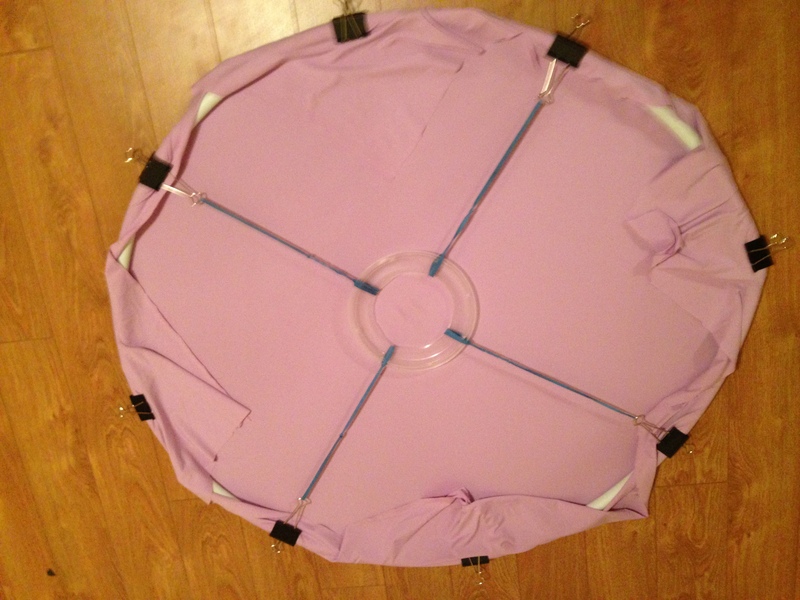 model the tides - a group of marbles in the centre of the fabric (no well), move a finger around the group by pushing on the fabric and notice how the group elongates on two sides, following the moon. these are the high tides, one on each side of the earth, and moving around the earth.